We start with the Waves level of this practice; it invites us to embody the physical energy of these rhythms. Here we practice to find and hold our ground and center, to release, to connect and to become present with what is. In the Heartbeat level we go deeper and discover the way our emotions move – each of them as an expression of our vitality. This workshop is created and led by a group of 5Rhythms teachers who have been collaborating in projects since 2016. Together they offer an atmosphere of diversity, community and trust. gateways to our inner being and a powerful tool for change and well being. This workshop is led by Bettina Leuckert (DE), Dagmar Cee (DE), Heera Andreas Müller (DE), Heike Fuhsy (DE) and Ron Hagendoorn (NL). 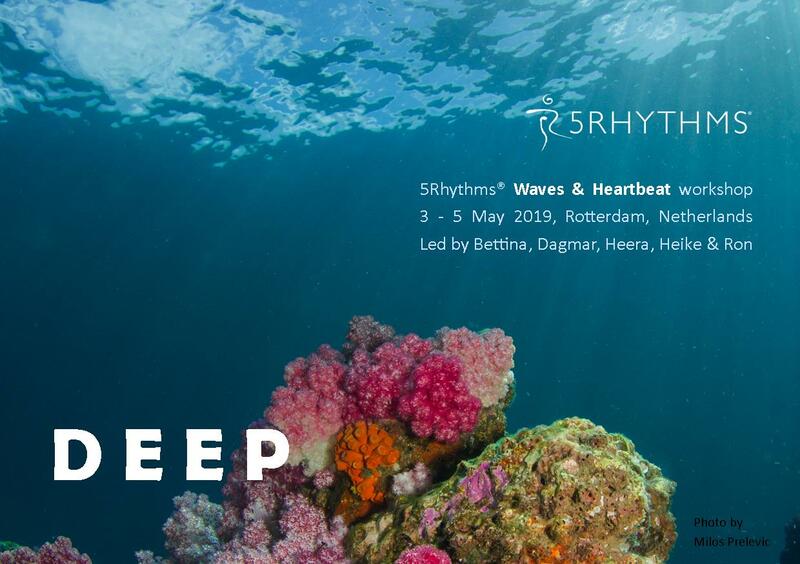 1 day Waves® & 2 day Heartbeat® level towards professional 5Rhythms teacher training.